When your furnace isn’t working on a cold day, you need service fast. Your home can become uncomfortable, even dangerously so, very quickly. Berico understands this and responds promptly in emergency situations. Technicians are available 24 hours a day, 7 days a week, 365 days a year for your convenience. Berico also offers a free installation consultation. If your system is over 10 years old, give Berico a call. You may be paying more on energy costs due to an faulty unit. An older furnace may also pose certain health threats that should be dealt with as soon as possible. Berico offers several products, both electric and oil powered, for your home. 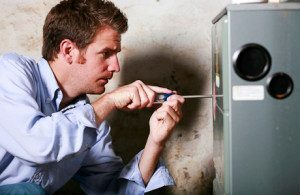 We repair all brands and models of heating equipment, whether electric or propane. Our years of experience make it possible for us to handle any repair in a timely manner. When we are done with your system, it will run even better than it did before the repair. To keep your furnace or heat pump in good working order and avoid emergency repairs, schedule regular maintenance appointments with us. Many HVAC service problems can be avoided with a yearly maintenance tune-up. Heating Service and Repair – Always dependable and affordable service repairs. New Furnace or System Installation – Call today for your free estimates on new energy efficient units. Berico installs furnaces and heating equipment correctly the first time, meaning it will work more efficiently and last longer. HVAC Maintenance – We offer a Comfort & Protection Service Agreement for all types of equipment. This includes regular maintenance for your furnace, as well as discounted repairs and propane delivery, and priority service without emergency fees. Energy Audit – We offer free energy audits to all customers on furnace and heating equipment to evaluate your home’s energy efficiency. You can save a lot of money by improving the efficiency of your home comfort system, as well as other appliances in your home and your insulation. Service & Repair 24/7 – We understand that emergencies happen, which is why we’re open 24/7 to help you with any repairs or contractor needs. Bonus Bucks – We firmly believe in rewarding our loyal customers with credits that can be used toward a new furnace. Tank Install – We are fully equipped to install propane, oil and gas tanks for our customers. We can also perform service and repair on propane furnaces. Based in Greensboro since 1924, Berico services many locations including the Eden, High Point and Burlington areas (Alamance Oil and Carolina Fuels customers as well). At Berico, we’re proud of our reputation and service skills. We have an A+ rating with the Better Business Bureau and have won the 2012 Super Service Award from Angie’s List. At Berico, we provide a wide array of heating and furnace repair services, sales, maintenance, and installation. Our company aims to provide your family with the peace of mind you deserve. We guarantee all of our products and services at an excellent price. Call Berico today to schedule a repair or to get a free estimate: (336) 273-8663.